Success! 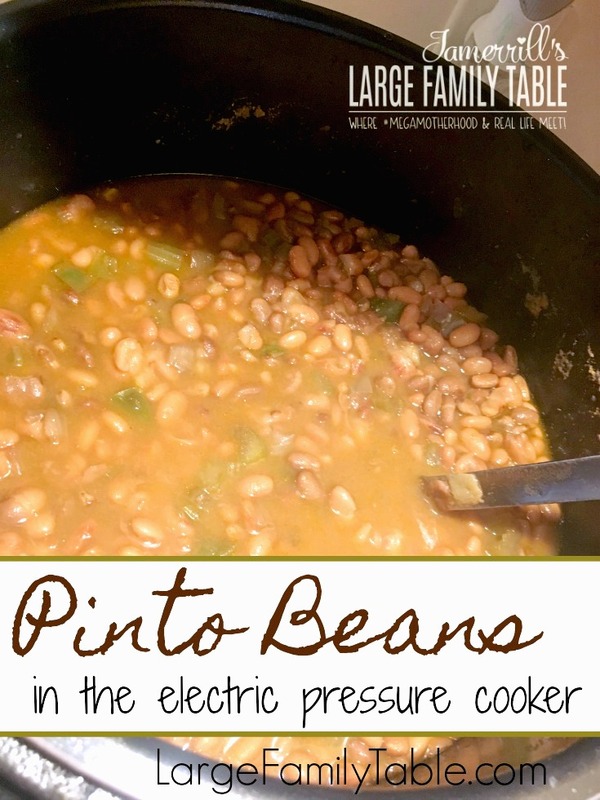 I made pinto beans in my new 14 Quart Go Wise electric pressure cooker. You can also do Pinto Beans in the Instant Pot or another brand electric pressure cooker (it might be worth having a look at the best electric pressure cooker reviews before buying one). I headed out with a few of the kids for an afternoon hike. When we got back, the beans were waiting for us. With some brown rice made in the Instant Pot and cornbread from the freezer, we were ready for our big weekend meal! 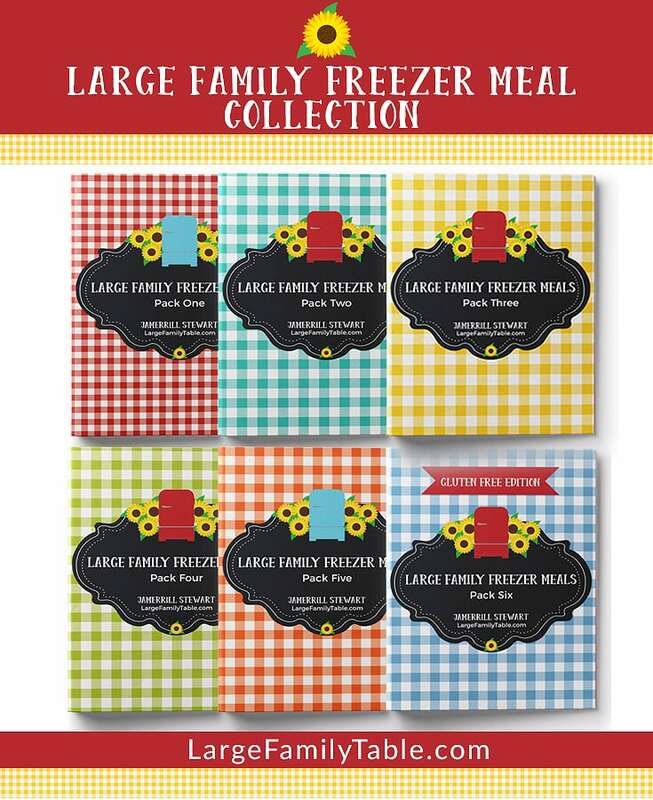 Beans and rice are great staples to have on hand for feeding large families. You can cook up a big batch of beans in no time in your electric pressure cooker. Cook on manual high pressure for 25 minutes. This goes great with brown rice and cornbread. 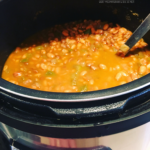 If you are looking for a hearty large family meal that’s quick to prep, pinto beans in the electric pressure cooker fits the bill! 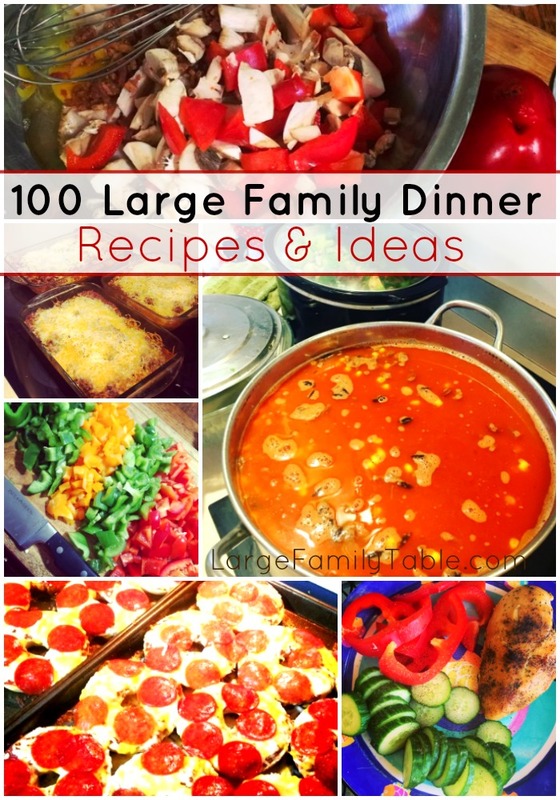 Looking for more ways to feed your large family with a big pot of beans? Serve them alongside leftover Easter ham, mash them to serve with my Taco Bake Freezer Meal, use them in a huge pot of Weekend Chili, or mix them with rice and kielbasa for a quick skillet meal.